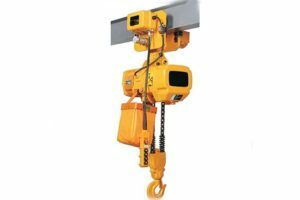 Electric hoist equipment is the common lifting device in our daily life. Many factories use electric hoist to lift and transport heavy loads, which saves lots of time and money. With the innovation of hoist making technology, hoist machine can be made into electric hoist, hydraulic hoist and air hoist. Of course, traditional manual hoists are still popular in outdoor transporting activities. As the leading hoist brand of China, Ellsen manufacturer devotes to electric hoist for years, and its electric hoist is for sale now. Want to learn more about Ellsen hoist? Read the following introduction, and get the skills to choose a high quality hoist in the cheapest price. Electric hoists can work automatically without the help of human labor, which raise working efficiency highly. 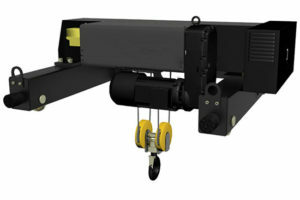 Ellsen hoists have electric hoists and manual hoists as featured products. Let us take a look of each hoist respectively. 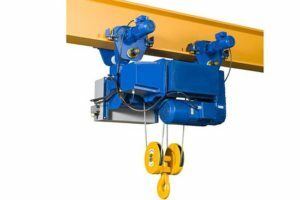 Firstly, electric hoist of Ellsen group consists of electric chain hoist and electric wire rope hoist. 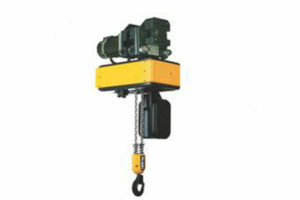 Electric chain hoist develops from traditional hand hoist directly. 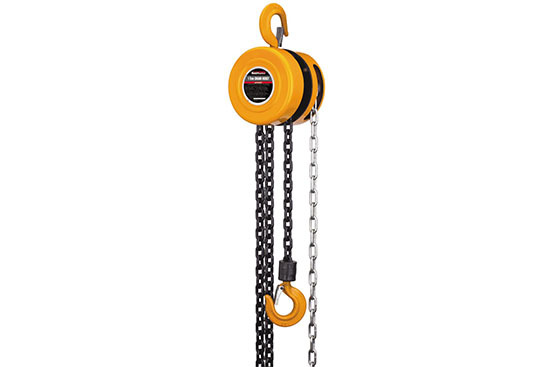 As the most common used hoist, it lift heavy loads through simple chain structure. 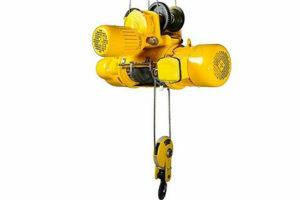 Electric chain hoist belongs to light duty lifting equipment powered by electricity. Its rated capacity is under 60 tons, which can meet the transporting need of majority factories and plants. 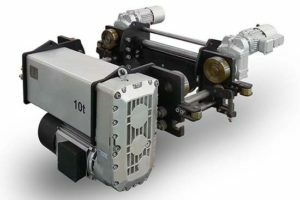 Besides, electric chain hoists have compact structure, advanced transmission device, long service life, high efficiency, lower noise and high quality that favored by customers. 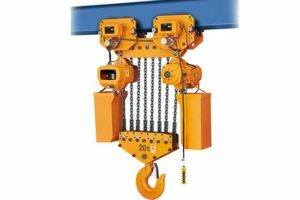 Chain hoist is designed and manufactured according to international standard, so no matter the purchase or maintenance is convenient. 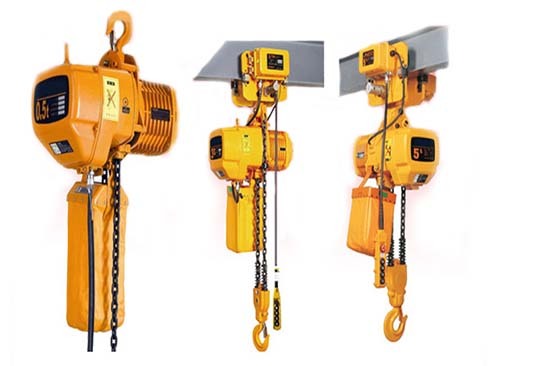 Because of the small size of chain hoist, its lifting height is able to change (generally speaking, the height can be 3 meters to 120 meters), so you can choose install a chain hoist in plants that limited by ceiling height. 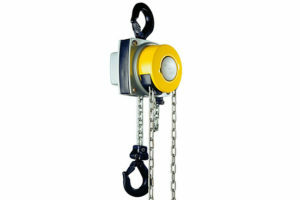 Electric chain hoist has fast lifting speed with rare noise. Especially when lifting heavy loads, its inner gear holding on closely, so that electric hoist can lift loads stably. 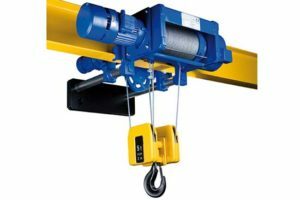 Moreover, unlike heavy cranes, chain hoist can be installed in any places, like flying joint steel, curve trick, boom jib and fixed suspension point. Its assembling and teardown are easy, and operation is simpler than heavy duty crane. 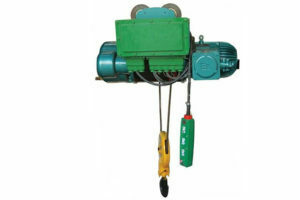 Electric chain hoist has independent gear box to do fast speed lifting in a large braking torque. 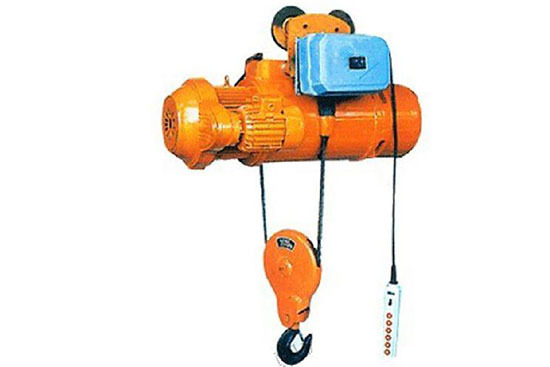 Electric chain hoist is widely used in warehouse, garage, physical distribution, wharf and construction area. And repair tasks of cars, ships and airplanes use this machine frequently. 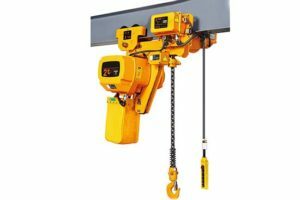 Compared to heavy crane, electric chain hoist adopts many operation ways, and needs less human labor, which can raise working efficiency and reduce labor intensity. 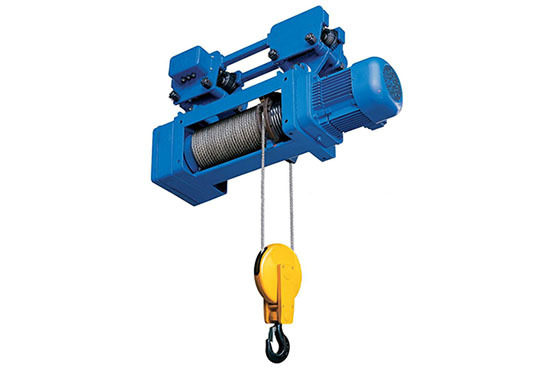 Except electric chain hoist, there are electric wire rope hoists that are for sale now. 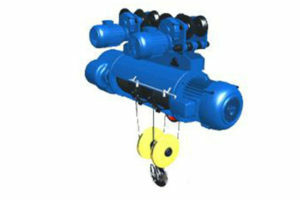 Electric rope hoist is the update electric hoist, and it innovates the pulling rope. 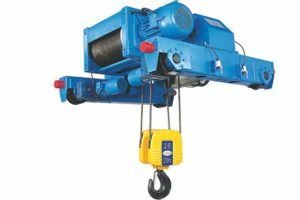 Instead of using chain circle, wire rope hoist adopts wire rope to lift heavy loads, for wire rope is more durable and not easy to break suddenly. Electric hoist belongs to special type winch hoist, which is widely used in nearly all construction site that needs a lifting device. With the development of technology and industrial level, Ellsen electric hoist has different models including common CD, MD electric wire rope hoist, high level ND and NDS hoist, and multifunctional hoist elevator. 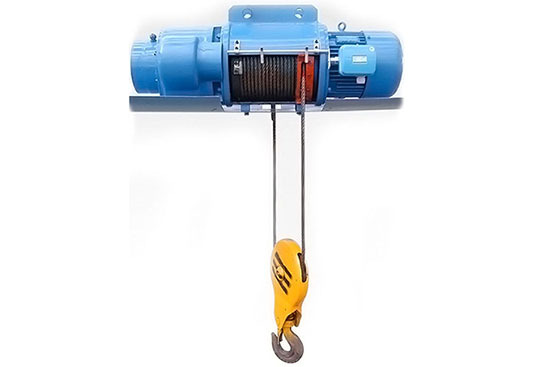 Wire rope hoist consists of reducer, running motor, broken firearms, lifting motor, hoist drum, cable wire, hoist hook and soft line current introduction. Al these parts work together to keep a good running and breaking system. 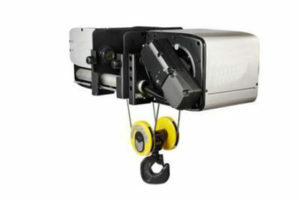 Electric rope hoist has an independent part, reducer, the design makes teardown of hoist convenient. For control box, this design of control box is safe, especially when there are emergency circumstances, control box can cut main current to keep fire stop, so that the whole hoist is able to working safely. Electric hoist of Ellsen manufacturer is easy to operate, you can choose different operation ways. We have rope exercise control and wireless remote control to you. Both of the two control ways are easy to operate. Pay attention to these items when you operate a hoist, before use, check the whole hoist to make sure it is available. Then, check the lifting trick and keep space for possible shaking when lifting loads. Thirdly, make sure that there is no barrier before operator. Lastly, check whether the electric hoist is able to running normally. 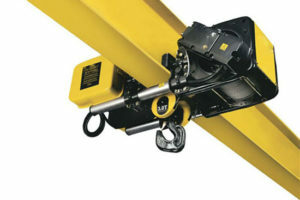 If everything goes on well, operator should operate the hoist according to the operation book. Forbid any human forced and rule-breaking operation. 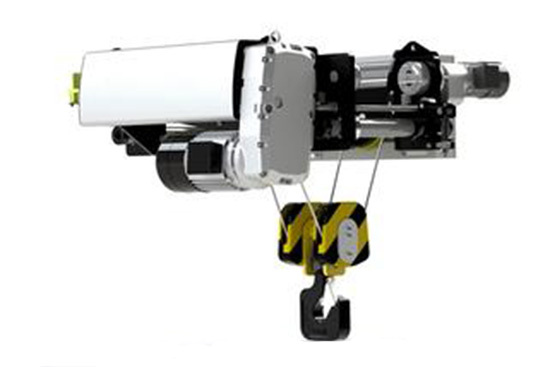 If you have to lift heavy loads on outdoor transporting and power limited area, we provide you hand hoist. Manual hand hoist is operated by hand. 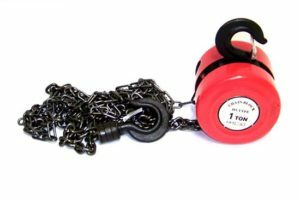 When lifting heavy loads, you can turn chain in clockwise rotation, while turn the chain in counter-clockwise direction to decrease loads. 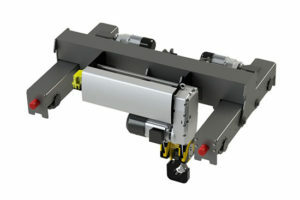 Hand hoists have uni-directional brake, so it is able to brake automatically. When using a hand hoist, you are supposed to know the ways to operate hoist. Firstly, overload is forbidden. Then, except human power, another power source is not allowed. 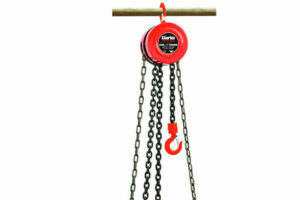 Before use hand hoist, make sure hoist chain is oiled. Breakdown of hoist is normal. 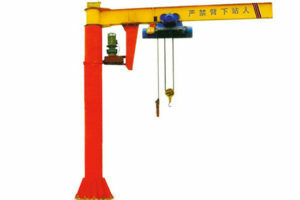 Once the manual hoist has trouble, operator should maintain the hoist as soon as possible. 1. 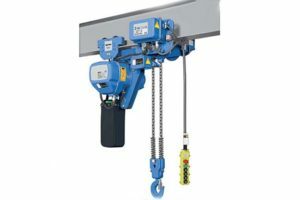 Wire rope hoist uses wire rope to lift material; while chain hoist adopts chain to connect hoist hook to pull loads upward. 2. 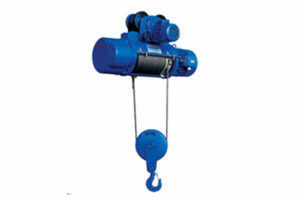 The winding device of chain hoist is chain, the rotation of hoist chain has influence on the rise and fall of hoist. 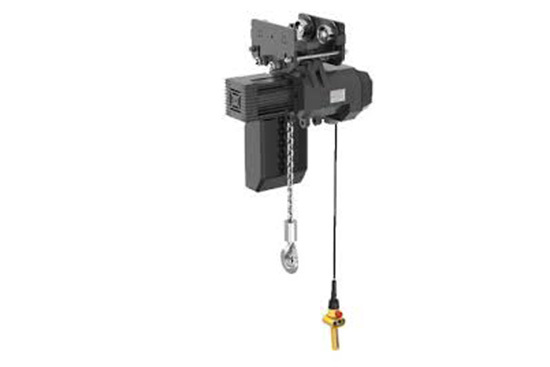 Compare to wire rope hoist, chain hoists are flexible and short in size. 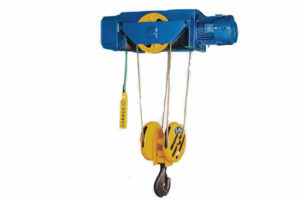 Wire rope hoist has wire rope tied tightly on hoist drum, the rise and fall relying on hoist drum. In order to lift higher, rope of electric hoist has to twine at least three circles. 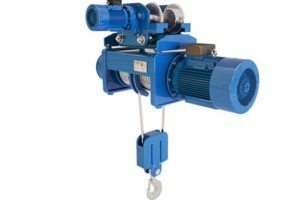 Because of the design of wire rope hoist, even hoist of the same specification, chain hoists are shorter and smaller than electric wire rope hoists. 3. They have different hoisting height. 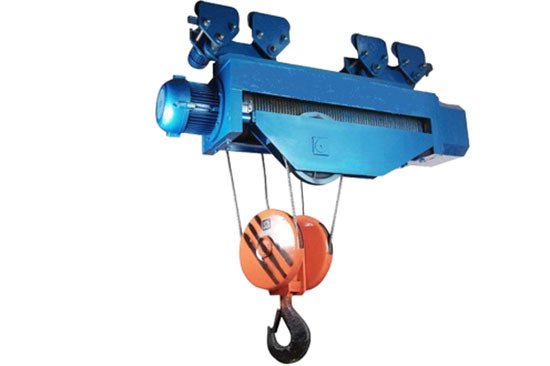 Wire rope hoist lift heavy loads relies on the elastic deformation of rope tied on hoist drum. The shorter diameter of hoist drum is, the greater variable wire rope has. One side of hoist drum bears stress, while the other sides bears tension. To balance the two force, diameter of hoist drum should be increased. 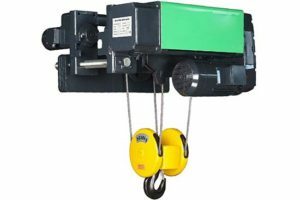 Electric chain hoist pulls loads by connected chain circle, which is made into cote shape to reduce pressure of each sprocket wheel. 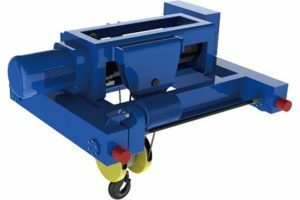 All in all, electric hoists of the same capacity, wire rope hoists have longer diameter than chain hoists. So under the same height trick, electric chain hoists have higher lifting height than rope hoists. 4. Axes of electric rope hoist parallels with the center line of trolley running tricks. 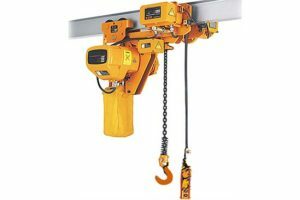 While chain hoist can be installed in a 90 angle. 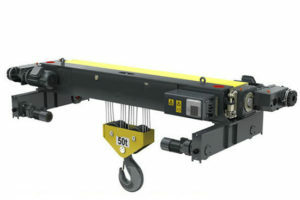 So in the same working condition and trick length, the later hoist has longer moving distance. 5. 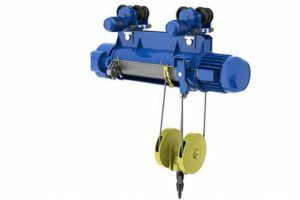 Because of the structure of wire rope hoist, it cannot be refitted. 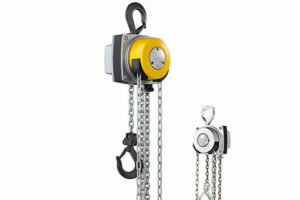 While chain hoist connects by chain, the length of chain decides the lifting height of hoist. If you want a higher lifting height, all you need to do is change a longer chain. 6. 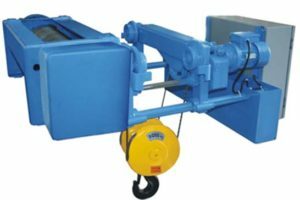 In order to prolong the service lift of wire rope, rope of electric hoist cannot be fold over and over again, besides, the rope tied on drum and rope wheel has to be in the same direction to keep the balance of tension on each drum side. 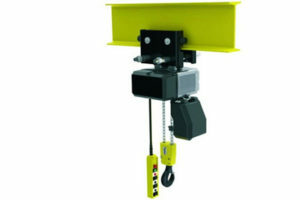 Electric chain hoist can be placed in any direction flexibly. Why choose Ellsen hoist as you supplier? There are many reasons that you may choose a hoist. But there are twos thing that you may concern most. The one thing is electric hoist quality. 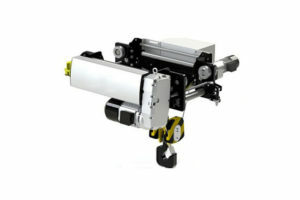 Ellsen electric hoists adopt high strength steel, which can give your hoist a longer service life. Then, Ellsen electric hoist is for sale now, you can get a hoist in the cheapest price. Check in the free inquiry now.